Bird Id - Forum - Identifying Birds - Any Idea Exactly What This Bird Is? Forum > Identifying Birds > Any Idea Exactly What This Bird Is? 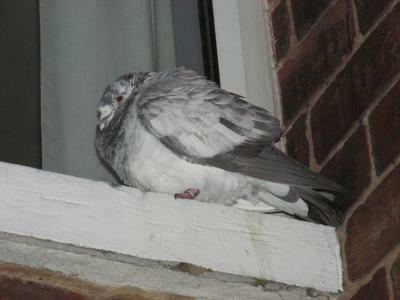 3 This bird turned up on my window ledge the other night and I have only just noticed that it is ringed. Just wondered what it might be. 3 Thanks very much that makes sense.